EA Baton Rouge (EABR) is home to one of EA’s largest development organizations - Quality Assurance. QA testing is a crucial component of game development. We like to say our job is “to make amazing games even better.” Of course, that’s not all we do here at EABR. We also have Project Management, Data Analytics and Software Engineering roles (focused on automation) as part of our employee portfolio. Our facility sits on the top floor of Louisiana State University’s Digital Media Center, in one of the most picturesque corners of campus. 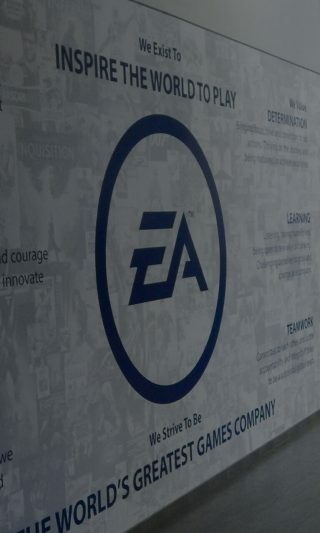 We work daily with EA development studios all across North America, which includes BioWare, DICE, Maxis, PopCap and of course, EA SPORTS. In terms of comfort and culture, well, that’s what EABR does best! Our employees have grown fond of the studio break room, named Jackson Square after the legendary New Orleans plaza. Amenities include Starbucks coffee, arcade machines and TV’s that are linked to a bounty of gaming consoles. Our employees happily tag our graffiti walls (dry erase, of course!) and explore EABR’s stately surroundings, where the bayou meets today. There’s even a lake around the office , stocked with bass fish. For a change of scenery, folks can quickly drive an hour southeast along the Mississippi River to reach New Orleans. Widely agreed upon as one of America’s most amazing cities, all it takes is about an hour drive east to find yourself right in the middle of one kicking party. EABR prides itself on its come one, come all culture. 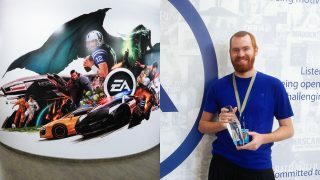 No matter someone’s gaming preferences, a non-stop infusion of Madden, generation after generation of The Sims or tricky maps in Battlefield, all are welcome at EABR. The only requirement is that everyone who join us demonstrate a trio of traits by which the facility excels: a passion for gaming, attention to detail and creativity in pushing limits.